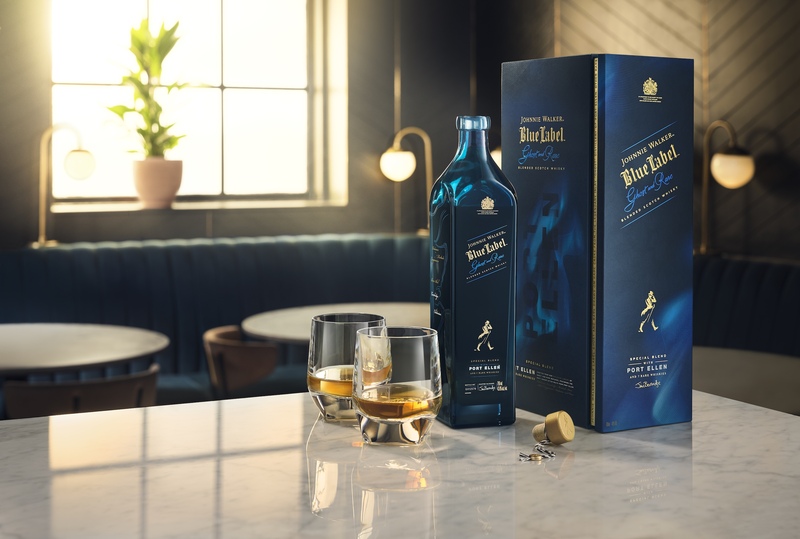 The Johnnie Walker Blue Label Ghost and Rare Brora was astounding in its success for marrying the best of the three lost distilleries that embodied it. The smoky, peppery flavours of the Highland distillery Brora worked in perfect harmony with the Cambus grain and Pittyvaich single malt to create a stellar, lightly peated whisky with notes of exotic pineapple, hazelnut and dark chocolate. 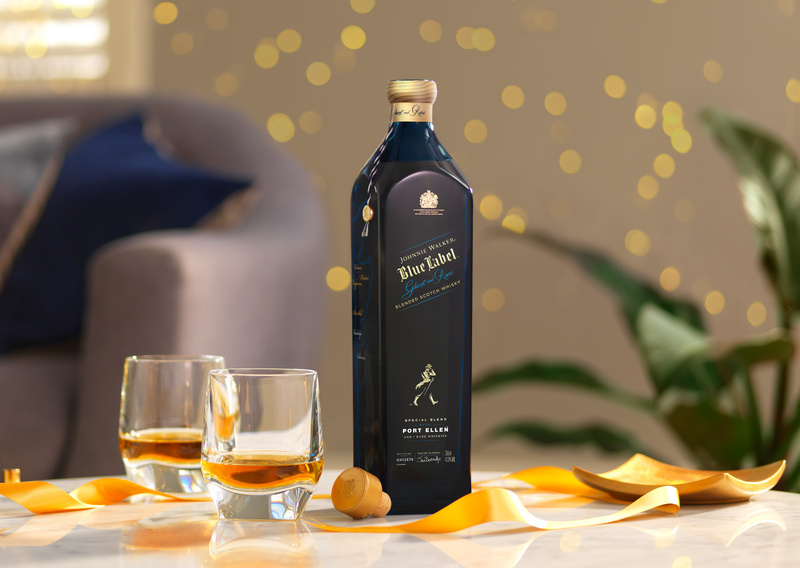 This year, Johnnie Walker pays tribute to the inimitable Port Ellen, creating the Johnnie Walker Blue Label Ghost and Rare Port Ellen for the second in a series of special editions that puts these irreplaceable ghost whiskieson a well-deserved pedestal. Launched to an exclusive crowd with renowned actor, writer, director, and producer Stanley Tucci in attendance, the event — aptly titled ‘Reawakened’ — took place in the beautiful Welsh Chapel in London. There, guests were taken on a multi-sensorial journey of discovery, one that explored the lesser-known complexities beneath the depths of the Scottish Highlands and Kilnaughton Bay. Tucci’s rendition of ‘Borealis on the Bay’, an ode specially created for the launch by Scottish poet Jon Plunkett paid equal homage to the home of Port Ellen. The experience then continued with a bespoke menu by acclaimed chef and Diageo Global Gastronomer Mark Moriarty. Each course saw nuances of the Ghost & Rare Port Ellen, a befitting prelude to the exclusive tasting of the new limited edition blend led by Master Blender Jim Beveridge. As a ghost distillery that shut its doors in 1983, the challenge was preserving its distinct personality after more than two decades. Yet there is nothing Johnnie Walker’s Master Blender Jim Beveridge can’t handle. Working alongside a small team of only the sharpest minds in the Scotch whisky business, Beveridge delved deep into the bellows of the iconic landmark to create a blend that is just as intriguing as it is authentic. The Johnnie Walker Blue Label Ghost and Rare Port Ellen. Legacy is still at the forefront here — the memory of precious cargo of smoky Island single malts once carried on ships sailing from this distinguished distillery is expressed with a little help from ghost whiskies from Caledonian and Carsebridge. Both add layers of creamy vanilla sweetness, which then gives way to notes of waxy citrus, rich malt, and tropical fruit flavours from rare malts hailing from Mortlach, Dailuaine, Cragganmore, Blair Athol, and Oban. The smokiness that is so characteristic of Port Ellen balances the exotic notes with a long, warming finish, making this a blend that perfectly encapsulates the legacy of Port Ellen.